Walking on clouds might be (technically) impossible, but we reckon our floaty tulle dress is the next best thing. 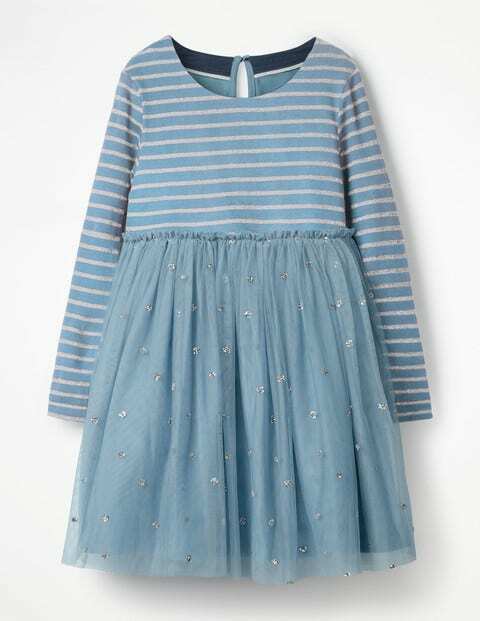 The top is made from comfortable jersey fabric with plenty of sparkly stripes, and we scattered glittery spots across the airy skirt. It even has a ruffly waistband too – winning races will be a breeze.